C-SQ - MIX TO GO MUSIC GROUP Stay in the mix with Mix To Go Music Group, LLC...YOUR ultimate insider's guide to new music, travel-oriented events, dj culture and self-styled lifestyle conversation! #42 is a special number today. It is the number of days I have clean...sober from drinking. I am not here to tell you what to do. Just sharing my experience, my strength & my hope to others who may be suffering from this dis-ease. This is a thank you to my family who suffered quietly while I celebrated dying faster. This is for my peers who watched me party a little too hard and didn't step in and say something...because they didn't know I had a problem. Or weren't tuned in enough to care. This is a public apology to anyone I may have offended while I drank...if you have ever been offended by someone like me then take this self correction as a token of my appreciation for you being there. It isn't easy and never gets better. Not until a person decides I have to stop drinking. 42 days is just over a month. Not a lot of time in. I started on my birthday. My Queen tells me I was really bad that day. I was already thinking about stopping but I rode it out a little longer. After that day I put the drinking down and haven't looked back. But the urges are real and occasionally I crave "just one drink." You already know, those of you among the sick and suffering that is the worse decision you can make! To the rest of you who took a minute to read this thank you. This message was not meant to make you feel sorry for me. But I cannot drink like those of you who do socially. To those who dedicate their lives helping people like me and my peers thank you. If no one says so to you directly then I will on behalf of all who struggle to maintain. Enjoy your day...one at a time. Community Square in associated with #Resist (#Resist) Brooklyn present "Decarcerated: What Justice Looks Like"
A town hall-style panel conversation on the criminal justice system. Join me and my Community Square family each week in special events throughout the year that celebrate the intelligence, beauty, insight, culture, empowerment, diversity, spirituality and holistic fusion of our community. I had attempted to do this inside of a group created by Meetup but as the vision grows and expands I realize it is better to have my own! So...on Tuesday in my next Community Square update I will announce a separate meetup for CSQ! We will celebrate with our second gathering Tuesday evening, Feb 21, 7pm est at BRIC (downtown Brooklyn) and in March with our first music oriented meetup at Sweet BK Bar, Bed Stuy Brooklyn. Details will be provided on my Thursday update. You can join our group on Facebook under "Community Square." Every Tuesday, Thursday and Saturday I will share updates about all things Community Square. Join us!! Every Tuesday and Thursday around 6pm est I post about matters pertaining to our community. Regardless of what 'hood you live in NYC or beyond, "community issues" are important to address and the topics oftentimes are universal. This evening 7pm est my group, Community Square in association with #Resist #Brooklyn are hosting a #meetup at #BRIC Media Arts Center. BRIC is located in the downtown Brooklyn area at 647 Fulton Street near many subway and bus lines. This gathering is a discussion about "social practice;" that is, how to put into practice organizing small and large groups of people for common causes, for fund raising and utilizing major, independent and public access media outlets for these purposes. After Community Square will briefly go over future events, take on new members and organizers. Hope to see you here! My current situation. ...we all eat like this, that's why we wake up like this. If #WeThePeople (We The People) means anything to you then this post and others like it speak right to into your contribution to a better society. MAYDAY will take place as it always does in different parts of the U.S. and beyond...but for the first time Community Square will participate with #RESIST Brooklyn at a location to be announced. This gathering will for us is about bring positive energy to our world. We are about a better way of life and utilize our minds and the inspiration of our spirit to change for the better the way things get done. If you are interested we are getting together Tuesday, February 21 in the downtown Brooklyn area. I will not post the address here. You can send me an email for info: Freedom@MixToGo.info. Every Tuesday and Thursday I share a civilized view of the world...from the community square. "C-SQ" was born from an idea I had for a seasonal journal featuring content about music, community concerns, positive causes in the entertainment world and more. With the importance of social networking and its impact on our world, I saw an opportunity to share positive energy with the online community. "Community Square" originally launched on THIS day, January 24, 2013-4 years ago. It is fitting I am relaunching this concept within my music and entertainment posts. In this very untraditional political and social climate we live in I will do more than just sound off about what is happening-there are plenty of memes and "movements" on and offline that do that-I will focus on useful matter. In addition I encourage anyone reading this to reach out if they have anything to contribute. Mainly info about good cause events associated with music and in local communities around the world. VH1's "Save The Music Foundation. Other communities and topics will also be discussed- such as alcoholism, autism and various holistic and spiritual platforms. I am thinking of a radio podcast on C-SQ...I will let you know in future posts. Love and Peace! SUNDAY, SEPTEMBER 8, 2013...#communitysq has been busy getting our pages in the new issues of Mix To Go Magazine together, along with the ongoing dialogue of our own publication to address all the needs of our community-not just in the very local NYC sense but with perspectives for the world. We are looking to bring young people into it and make it a truly youth-driven brand! In August, #communitysq finally added a few pages to Mix To Go Mag. It was exciting to have our voice be heard-even as our department is the "voice of reason" for what is otherwise a magazine focused on good music, good parties and good events. In September we continue our charge into the public forum with insights into thoughts, ideas and realities that are affecting our world on a local level. We are NOT interested in being political or ranting against the machine with no actual input into solutions...our reason for being here is at once very simple and straight forward, while deep and soulfully spiritual. Queen Martina and Freedom will be on the front lines because we have a serious interest in the coming together of our family as it relates to the people in our community-which will then expand beyond the foundation of our everyday lives. 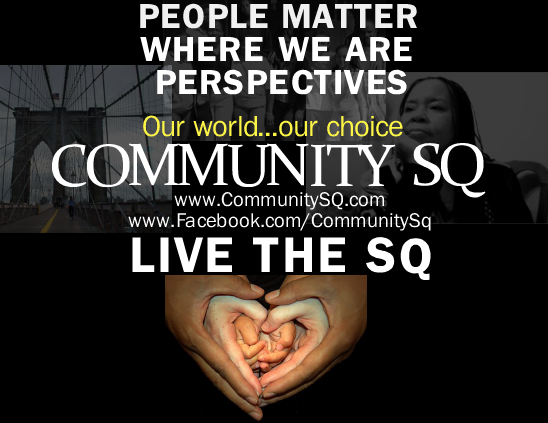 COMMUNITY SQUARE (#communitysq) is a people-driven movement. It is not an organization, there are no members, no board, no leaders and no politics-just a movement of the people, by the people. It came about because the world is not what it needs to be. This is because the people in it are not where they need to be to make the world what it needs to be for them. So a few of us stepped up and decided to join forces with others of a like mind and make things happen. 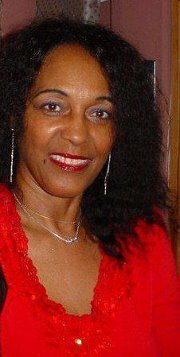 If you would like to know more you can send an email to FrankTina07@gmail.com. You can get more information at CommunitySq.com...but updates are slow because we are doing this in-between time. You can help if you are interested in being part of the solution! The "articles" you'll find on this page are generic and focused on community-driven causes that are good for the people. Some are businesses, others are non-profits and still others are just ideas. They all have a place in the Community Square. Updates will come every SUNDAY and THURSDAY. You can also go to our FACEBOOK page as well. 2 FOODS YOU MUST NOT EAT! SUNDAY, AUGUST 4, 2013...every Sunday is FAMILY DAY for us and we are excited to share our new weekly posts geared toward the betterment of the family structure. This first entry is about food. It is the most basic thing we all share in common and is the thing we can all agree with-regardless to what we eat or where we come from. Enjoy this humorous dose of reality that is easy to enjoy while learning a little about how to do your body some good. Hint: if you like DR OZ you'll love this guy! He's the real deal. THE LAUNCH OF COMMUNITY SQ! THURSDAY, APRIL 4, 2013...#communitysq celebrates the best of life: healthy thinking, doing things to better one's life, seeing the world in a positive light as well as enjoying everyday life! 1.Certain properties of the aloe vera plant make it an excellent remedy for speeding up the healing process to any injury. Aloe vera is excellent for treating scars, burns, and cuts. 2. Aloe Vera is well known for its anti-inflammatory properties. In other words, it has the ability to arrest inflammation or slow it down due to the presence of fatty acids. Applying aloe vera gel can prevent or stop inflammation caused by injury, immune dysfunction, and many other problems. 3. Improves digestion and helps detoxify the body. Aloe vera juice and gel are both good laxatives and help in dealing with constipation. 4. As Aloe Vera is a cellular regenerator and has anti-bacterial and anti-fungal effects, these properties make aloe vera one of nature's healthiest products. Being a strong antioxidant, it hunts down free radicals and protects the body. 5. The dried juice/gel of the aloe vera plant is traditionally used as a remedy for diabetes as the aloe vera juice lowers blood sugar. THURSDAY, MARCH 21, 2013...#communitysq celebrates healthy thinking, doing things to better one's life, seeing the world in a positive light (and contributing to it) as well as simply enjoying everyday life! In order to know what to do, it is sometimes helpful to know what NOT to do. This video explains things we should not be eating and the reasoning for it. Some are common sense, but others are not-and do we know why? Every now and then you will come across something online that will cause you to ask yourself questions. Is this information true based on what I know? This may also happen offline but because there is a LOT of information you'll see online in just a few clicks of your phone, tablet or computer it is even easier than ever to get the WRONG information! #communitysq is about sharing the TRUTH in everything we share with you. The videos we post are NOT ours unless we say so but we are living truth (read: living proof) that if you know where to look you will find answers. Start with a mirror. || Rebecca Scott is a good Sister. Check this video out and read at least one of her books. She is ABOUT it. SUNDAY, FEBRUARY 17, 2013..."Message To The Blackman" is one of the greatest books ever presented to a people since the Koran and Bible were revealed. #communitysq would like to share this rare listen to it! We live in a time where a YouTube video has a hold on our culture more than one will take time to pick up a book...so we present the book to you in a video! This book was written with the black man and woman in mind but anyone can read it to learn a lot about a people who started civilization. You can also gain an understanding about why this people is so important to uplift. We present this as we do all of the content on this website to share positive energy with our readers and subscribers. WEDNESDAY, FEBRUARY 6, 2013..."The Corporation" is one of the most compelling documentaries we have ever seen. It was uploaded in 2007 and has been viewed over 1,000,000 times. There are two versions on YOUTUBE: one is in parts (as we have presented it to the left) and there's another with the full 2 1/2 hour film. We hope you'll do more than just enjoy it but take heed to its all-important, life-changing messages. 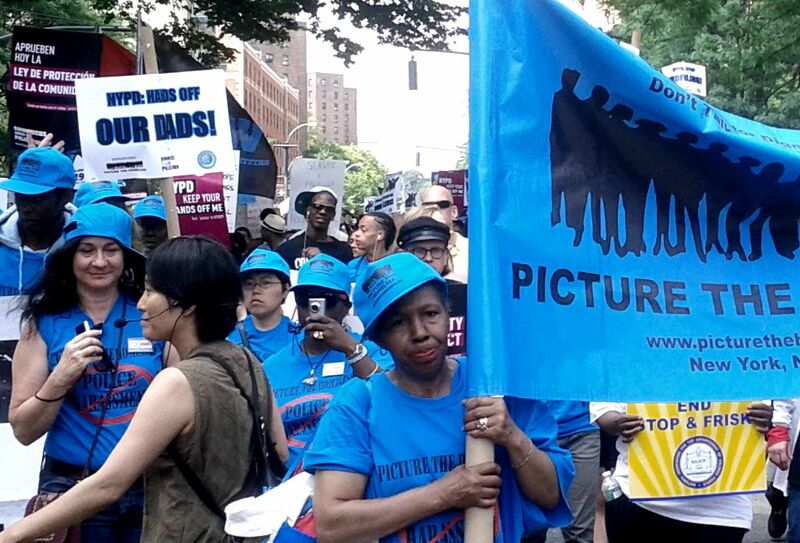 TUESDAY, FEBRUARY 5, 2013...Picture the Homeless is a grassroots organization, founded and led by homeless people. We are organizing for social justice around issues like housing, police violence, and the shelter-industrial complex. Our name is about challenging images, stigma, media (mis) representation - as well as putting forward an alternative vision of community. TUESDAY, JANUARY 22, 2013...in support of our beloved Managing Editor Queen Martina who has been part of Mix To Go Magazine since it's inception in 2009 (and before that when it was just an idea), she has put a great effort forward and launched her own cooking endeavor, "Empressive Soup." It isn't a restaurant opening or a soup kitchen in the 'hood but rather it is (for now) her celebration of great cooking through what will be ongoing videos, blogs such as this one and a regular contribution to the stomach of Mix To Go Mag's founder Freedom J. If you'd like to get a sample of Queen Martina's delicious soup, fish dinner, veggie stir fry or bake and saltfish reach out and support wholesome, hearty and healthy cooking! FRIDAY, JAN 18, 2013...COMMUNITY SQUARE (aka COMMUNITY SQ) was launched in our 4TH ANNIVERSARY ISSUE of Mix To Go Magazine (September 2012) officially; unofficially we've covered community issues via charity events and mentions since the very beginning of our publication's launch. We are now excited to present a new chapter in C-SQ: a separate website that will feature regular updates each week-full articles, photos, special events and video of things you won't see in mainstream media. We are very excited about this new chapter in our publication's existence because it is near and dear to our hearts to give back to others; we are quite blessed after all these years to be self-supported and funded with no sponsors or corporate baggage...no creative limitations and no biased views! What you'll see in this section will be the same as it has been with Mix To Go Magazine from the start-the world as we see it! In Mix To Go Magazine we of course feature mainly music and event coverage. It's all fun and games when you turn our pages and see eye-popping colors, listen to cool and progressive-minded DJ mixes, or watch thought-provoking videos (see them on our videos page on www.mixtogomag.com, our test pilot website that will only be up a short time longer then all the content there will be moved to THIS site). We hope you'll stick around and support the Community Square cause because it is a good one that is needed-a voice of the people that can move mountains. Bridges Ride for Autism is an annual bike ride for the cause of awareness and fundraising for Autism Speaks. It is a bike ride first but walkers are welcome. It begins and ends at South Street Seaport. This year's ride will travel across The Brooklyn Bridge (Manhattan to Brooklyn), Manhattan Bridge (Brooklyn to Manhattan), Williamsburg Bridge (Manhattan to Brooklyn), Pulaski Bridge (Brooklyn to Queens) and the Queensboro Bridge (Queens to Manhattan). The organizers added Central Park, Hudson Greenway, World Trade Center and Battery Park to the route. Limited registration has already begun and Mix To Go Magazine is excited to officially be part of the fundraising effort. Keep in mind this event is directly benefiting AUTISM SPEAKS, so anything raised goes toward their cause. (3) go to Autism Speaks office in person and tell them you are donating to the effort on behalf of "Team Jelani." As a parent of an autistic child I am looking forward to this (and other) events supporting the awareness of autism; the stats are that 1 in 110 children will be diagnosed by or before the age of 6. That means if you have 500 friends on Yelp, FB, Twitter or all of your social media pages combined there is a chance that 5 people's lives may have been affected. Looking foward to seeing you out there!